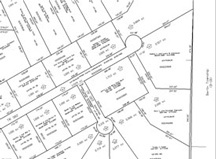 The responsibilities of the Holmes County Tax Map Office are building and maintaining accurate and up-to-date tax maps, as well as reviewing deed to ensure accurate descriptions of Real Estate prior to transfer. Legal Disclaimer: Public information data is furnished by Holmes County, and must be accepted and used by the recipient with the understanding that Holmes County makes no warranties, expressed or implied, concerning the accuracy, completeness, reliability, or suitablity of this data. Furthermore, Holmes County assumes no liability whatsoever associated with the use or misuse of such data.